Taking the SAT is a big make-or-break moment in every young academic’s career. Students and parents are often stressed about the test’s implications and how to best prepare. It seems that many test prep programs like to foment these fears and make it even more stressful. Our SAT preparation students attend some of LAs best high schools including New Roads, Harvard Westlake, Poly, Marymount and many more. At Strommen we have a clear methodology that is based on 1 on 1 instruction. We like to take the stress out of the SATs. Just because the test is standardized doesn’t mean your test prep program has to be. We begin with a quick 15 minute assessment and then get straight to work. In a group class you are led on a relentless cram session that wastes time on areas they you already be great at, and doesn’t spend enough time on areas in which you struggle. group classes can be effective, but they definitely aren’t for everyone. It is easy to drift off and get overwhelmed in a group setting, especially with test prep curriculum. Reviewing the entire test is important, but at Strommen we spend more time on the areas affecting your score most adversely. Our qualified SAT teachers review the most up-to-date “tricks” and SAT specific strategies for each question type, but we also take the necessary time to teach missing academic subject matter and the all-important organizational skills required to master the test. How much can your score improve? See for yourself! 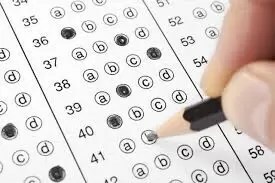 We will administer practice SAT tests along the way so that you can see the results firsthand and simulate the real test environment. Save $20 hourly if you travel to one of our teachers’ locations. Save $10 hourly by taking class with a friend! Ask about our family and corporate discounts. Create your own group and the rate can be as low as $15 hourly. Or check out our Group class schedule for more info. Strommen also provides SAT instruction for the city of Malibu SAT prep class. Fill out your info on our contact page here and we will be in touch within 24 hours with a personalized recommendation for your needs, or just give us a call M-F 9am to 5pm at 323 638 9787 – You can also check our FAQ page for more info! You can also browse our teachers for SAT Classes in Los Angeles below. Don’t live in the Los Angeles area? No problem, our teachers are available online. Strommen Tests offers test prep for SAT, ISEE, ACT, GRE, LSAT, GMAT and more. Take a look at our teacher profiles below. $15 if you are family members. Contact us for details on setting up your own group!